Last year, Perpetual made significant changes to consolidate and focus the business, making Perpetual simpler, more streamlined and more profitable for its clients and shareholders. This thoughtful strategy has been one which has ensured Perpetual’s continued success and solid reputation, even 130 years on. Founded in 1885 with the purpose of forming a trustee committee, which included Australia’s first Prime Minister, Sir Edmund Barton, Perpetual has defined itself within the financial services industry as an independent and diversified group providing specialised investment management, wealth advice and corporate fiduciary services to Australian and international institutions, not-for-profit organisations, small businesses, financial advisers, individuals and families from offices all over Australia. 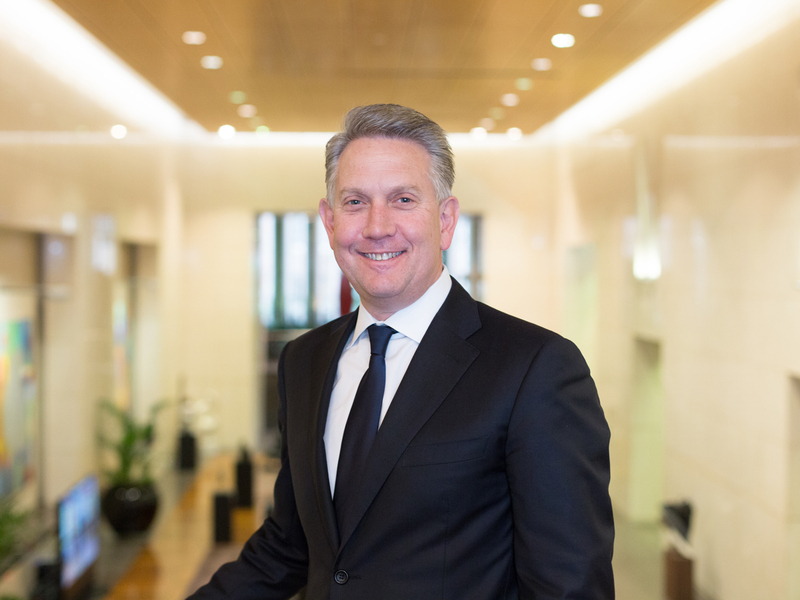 Perpetual’s CEO and Managing Director, Geoff Lloyd, says, “A lot of companies in Australia are over 100 years old, but I don’t know how many of them can actually talk about who their founders were, and why they formed them and how that’s still driving them today.” Perpetual’s history is richly embedded in today’s company culture and its values of integrity, excellence and partnership, still drive its people to look at the bigger picture. “At Perpetual, people know we have a role in community, in the economy, and in capital markets. We help to grow and build Australia. That understanding comes out of the Edmund Barton and Fairfax days, the original board that was created and why they created Perpetual,” says Geoff. Perpetual’s solid foundation has allowed the business to weather some tough economic times, including the First World War, the Great Depression and more recently, the global financial crisis. “Perpetual suffered greatly because of the GFC,” recalls Geoff. “Both in its business model and its strategy, and our share price had dropped significantly down to $19.” Perpetual’s experienced and talented leaders were able to turn things around after it became evident Perpetual had grown too quickly and lost sight of what it excels at. Many clients are referred to Perpetual and some client relationships span five generations. By the end of 2015, Perpetual was managing AU$30.9 billion in funds under management, AU$12.89 billion in funds under advice and AU$600.1 billion in funds under administration. The level of trust from the Australian community is taken very seriously by the team at Perpetual. “One of the things that is essential to us is making sure we protect our client first and grow them second. We know they have worked very hard for their wealth or their success. We’re not here to give racy returns, or racy advice, or racy outcomes. We’re here to protect them and their hard work for future generations of their family. So, ‘we protect you first and grow you second’ is a bit of an unwritten song here at Perpetual,” says Geoff.